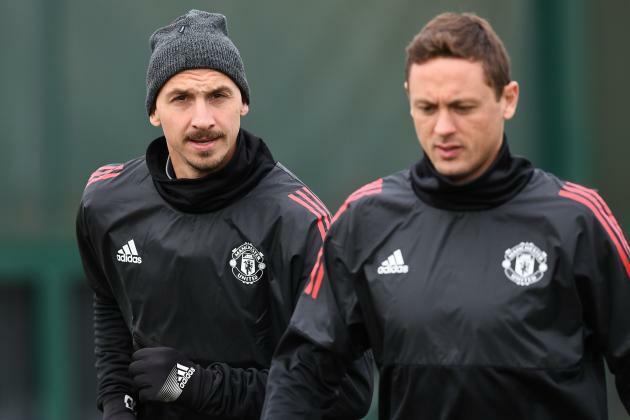 Nemanja Matic is the latest Manchester United player to wish Zlatan Ibrahimovic farewell after news of the strikers departure from Old Trafford broke this week. Matic is the second United player to take a more ruthless approach with his goodbye’s after Eric Bailly told the former Sweden international to “f*ck offfffff” when he broke the news on his official Instagram page. Zlatan Ibrahimovic is expected to join the LA Galaxy after he was released from his Manchester United contract on Thursday. The 36-year-old scored 29 goals in 53 games for the Premier League side but has been let go ahead of a move to the United States. Ibrahimovic was released last summer after a fine first season at Old Trafford ended in a serious knee injury, only to be rewarded with a new contract until the end of the 2017-18 season in August last year. However, Ibrahimovic has only managed seven appearances this term as a knee issue halted his comeback and United have now confirmed his exit. Press Association Sport understands the former Sweden international is set to sign for Major League Soccer’s LA Galaxy. A statement from United read: “Manchester United confirms that it has agreed to the termination of Zlatan Ibrahimovic’s contract with immediate effect. Ibrahimovic returned for United in November after recovering from surgery to repair his ruptured cruciate ligament. But his last game was on Boxing Day, when he was substituted at half-time of the 2-2 draw at home to Burnley. The arrival of Alexis Sanchez in January and the form of Romelu Lukaku have made it more difficult for Ibrahimovic to regain his place and, with question marks over his fitness and his contract ticking down, the time appears right for a move. Marcus Rashford and Paul Pogba were among those to pay tribute to the outgoing striker on Thursday. Rashford wrote on Twitter that Ibrahimovic “helped me become a better player for years to come”, while Pogba wrote: “You’ll be missed Lion, wish you all the best”.